As Managing Director of the EFN, Anne Kirwan cultivates and partners with a wide range of stakeholders, including corporate sponsors, national nonprofits and a growing network of program operators, to build the EFN into a premier national program bringing encore talent to the social sector. Prior to joining Encore.org, Anne held a series of senior sales and marketing roles in the corporate and nonprofit sectors in Ireland and the US. Most recently, she has worked with Upwardly Global, an award-winning organization that eliminates employment barriers for skilled immigrants and refugees, and integrates this population into the professional US workforce. Over a 9-year tenure as Bay Area managing director and Western US development director, she grew the organization’s program and revenues fivefold. Anne also oversaw the migration of a labor-intensive job-search program to a technology-driven model that has enabled Upwardly Global to scale its reach to more than 40 states. A graduate of Trinity College, Dublin, Ireland with a B.A. 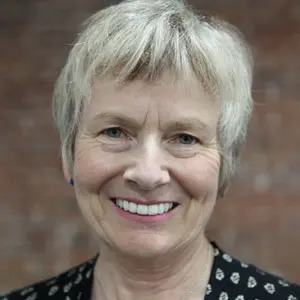 in Sociology & Politics, Anne began her career in journalism in New Zealand and Australia, co-founded and managed a successful publishing social enterprise in Ireland in the 1980s and held a series of senior sales roles with technology companies before her 2001 move to the US.